With a voice that’s recognizable for the energy it exudes, Chelsea Thomas is quickly becoming a beloved personality on the airwaves of 99.7 WDJX. As you can see, that bubbly energy is part of her whole look and can be seen in her personal style. On most days, Chelsea’s standard go-to is a pair of white Converse, Vans, or Keds shoes, a bright pink shirt, and a flowy skirt. Her chosen profession allows creativity in her wardrobe. However, she says, “It’s tough when you get up at 4:30 in the morning.” For this reason, on workdays, she lays out her clothes the night before. 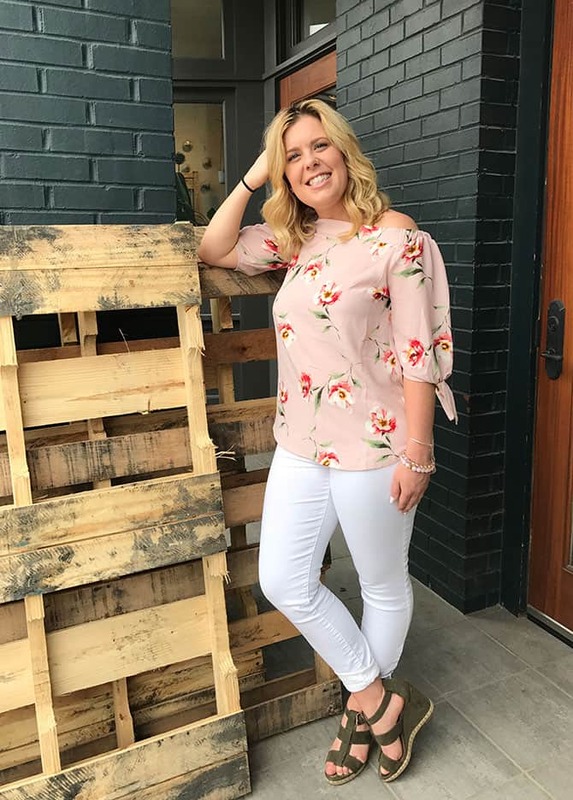 Having started her career in country and Top 40 radio, Chelsea says that she feels best in her cowboy boots and wears them whenever she gets the chance. When it comes to accessorizing, she keeps it simple and chooses from the same five pairs of earrings and four bracelets. Every day, she wears an Eden Cape Cod screwball bracelet and ring, in addition to a ring her late father gave to her mom the day Chelsea was born and was given to her on the day she left for college. Dutch braids are her go-to hairstyle, which she re-braids in the studio around three times a day due to taking her headphones off and on. Her makeup, which she defines as simple and natural, is applied on-air during commercial breaks since her workday begins so early in the morning.